So, remember I'm doing things a little bit differently for #BrunchWeek this year?? Click to read about it: here. 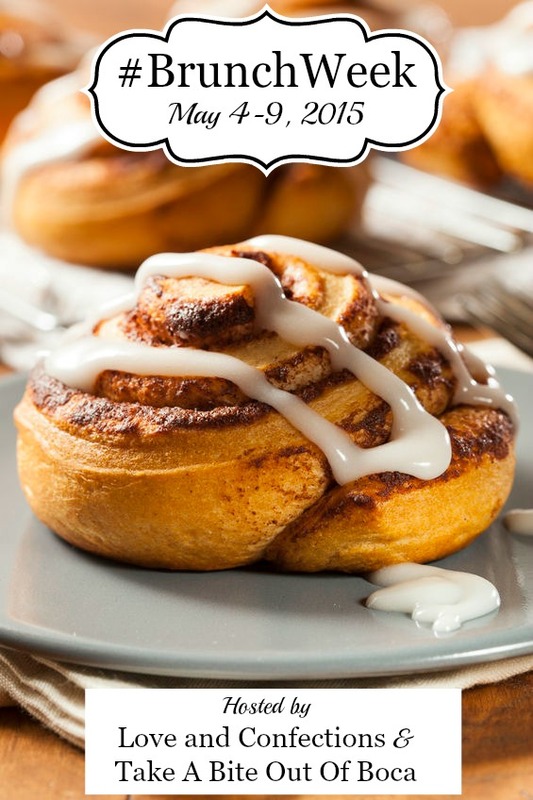 The gist - I'm sharing some foods from around the world that people eat for breakfast...and it differs greatly from the American regimen of eggs and bacon or pancakes. Today we're heading to the Netherlands our virtual #BrunchWeek tabletop travel. Now, I lived in the Netherlands for three years when I was a kid and don't remember once eating this for breakfast. Not. One. Single. Time. But, then again, my mom was mean; she's a sweet Nonna, though. But eating bread with chocolate sprinkles wouldn't have been too high on her list of things to allow. I'm sharing this sweet breakfast treat with you all. 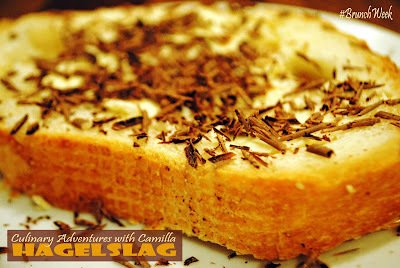 In the Netherlands, sprinkles are called hagelslag which translates to 'hailstorm'. Hagelslag comes in a variety of flavors, shapes, and sizes, and are most commonly eaten atop of buttered bread. I had fully intended to make homemade bread for this post, but the week got away from me. Toast your bread - or not. Butter it. Shave chocolate over the top; I used a mandolin slicer. That's it. Does this even count as a recipe?? Come see what today's #BrunchWeek Bloggers are creating! Mango Swirled Coconut Margarita from The Little Ferraro Kitchen. Bruleed Grapefruit Mojito from Healthy Delicious. Strawberry Orange Blossom Sparkler from Baking a Moment. Bacon and Egg Sandwiches on Cheddar Biscuits from Sew You Think You Can Cook. Lemon Blueberry Crepes from Love and Confections. Java Jolt Overnight Oats from Take A Bite Out Of Boca. 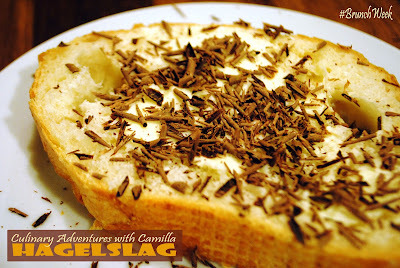 Hagelslag-Covered Bread from Culinary Adventures with Camilla. Nutella Stuffed Aebleskiver from greens & chocolate. Baked French Toast Boats from The Spiffy Cookie. Skinny Banana Oat Flaxseed Cookies from Hip Foodie Mom. Cinnamon Sugar French Toast Sticks from Making Miracles. Cheddar Pear Proscuitto Pull-Apart Bread from It Bakes Me Happy. Alpine Cheese Grisini from Jane's Adventures in Dinner. Bacon Cheddar Hashbrown Pancake from Pink Cake Plate. Huevos Rancheros Burgers from The Redhead Baker. Fresh Mint and Orange Blossom Fruit Salad from Sarcastic Cooking. Mini Apple Pear Pies from Quarter Life (Crisis) Cuisine. Strawberry Cake from Chelsea's Messy Apron. Chocolate Chip Walnut Coffee Cake from girlichef. Raspberry Oatmeal Bars from My Catholic Kitchen. Thanks to our amazing co-hostesses - Terri from Love and Confections and Shaina from Take A Bite Out Of Boca - we have an incredible list of sponsors and prizes. Thank you, thank you. and to enter the giveaway: click here. *Thanks to Pacari Chocolate for being a #BrunchWeek sponsor; I used their ingredients in this #BrunchWeek recipe. 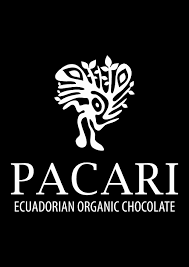 You may find Pacari: on the web, on facebook, on twitter, on pinterest, and on instagram. You assembled it....it's a recipe LOL. I'm loving all of your recipes this week, it's so fun to learn about different cultures and their food.